So growing up my family didn’t eat a lot of fish. If we had fish it came in stick form and was probably from Mr. Highliner’s lesser-known brother (deckhand Doug maybe?). Needless to say this didn’t leave me reaching for fish as an adult either. But over the last few years I’ve been trying different types of fish to see what kinds I like. I’m happy to say that salmon is now pretty much a staple in our house, so I started to play around with different ways to prepare it and this recipe is now one of my favourite methods of preparing salmon. Since I’m usually only cooking for my husband and I this recipe is enough for 2 people so feel free to double it if that suits your family. I like to serve this with a side of brown rice and a fresh salad. 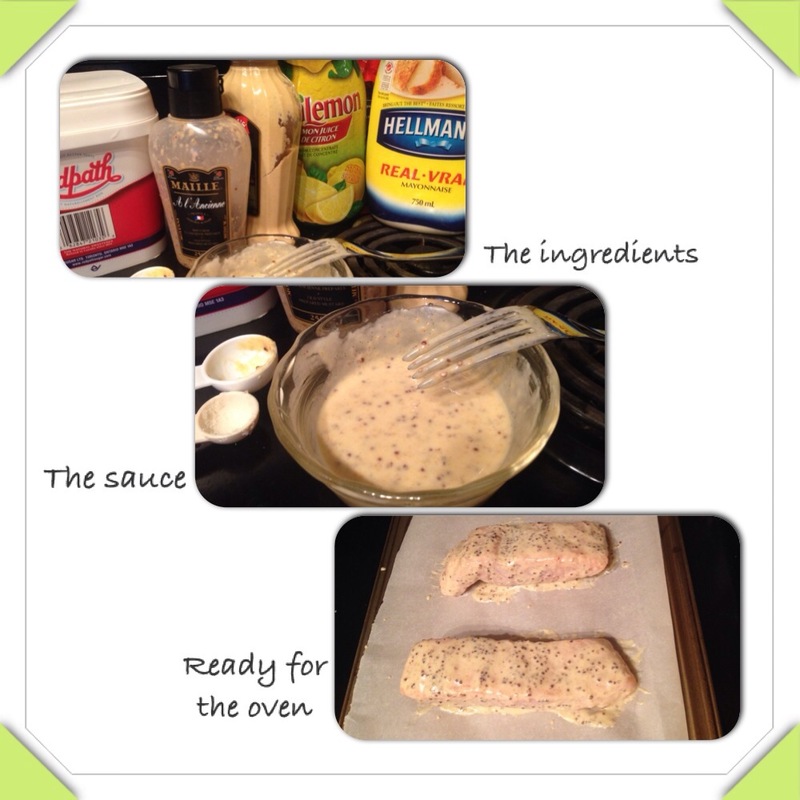 – Place the salmon on the lined baking sheet and spoon and spread the Dijon mixture onto all sides of the salmon (a little less on the bottom and a little more on the top). 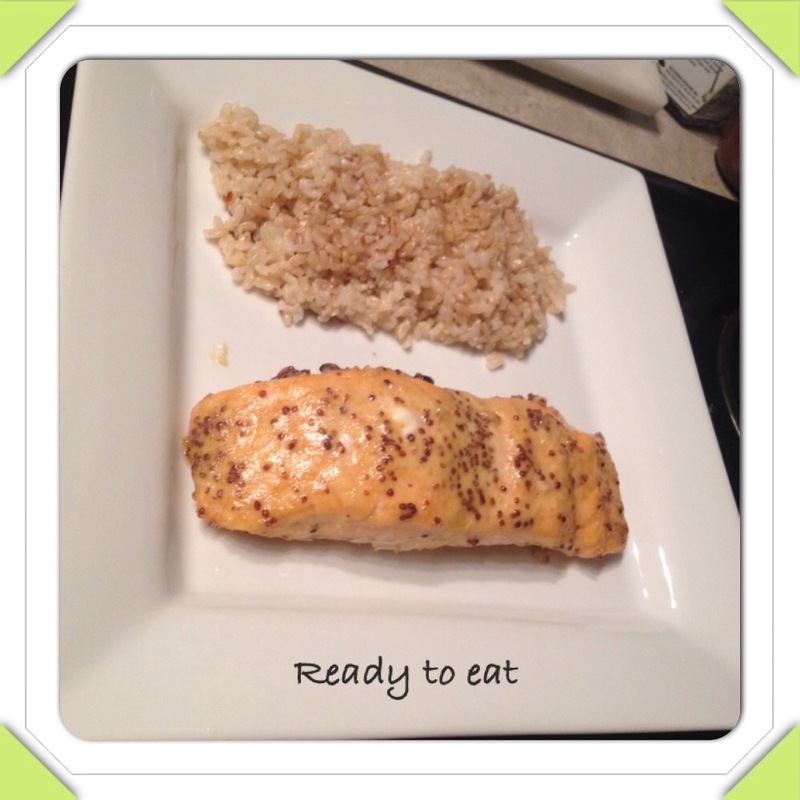 – Cook in oven for 20 mins or until salmon is done (firm to the touch). So I am reviewing another BBQ restaurant. I hope you don’t start to think I’m a one trick pony lol I do enjoy a variety of different cuisines, I just happened to be convinced to go here by a coworker at lunch. 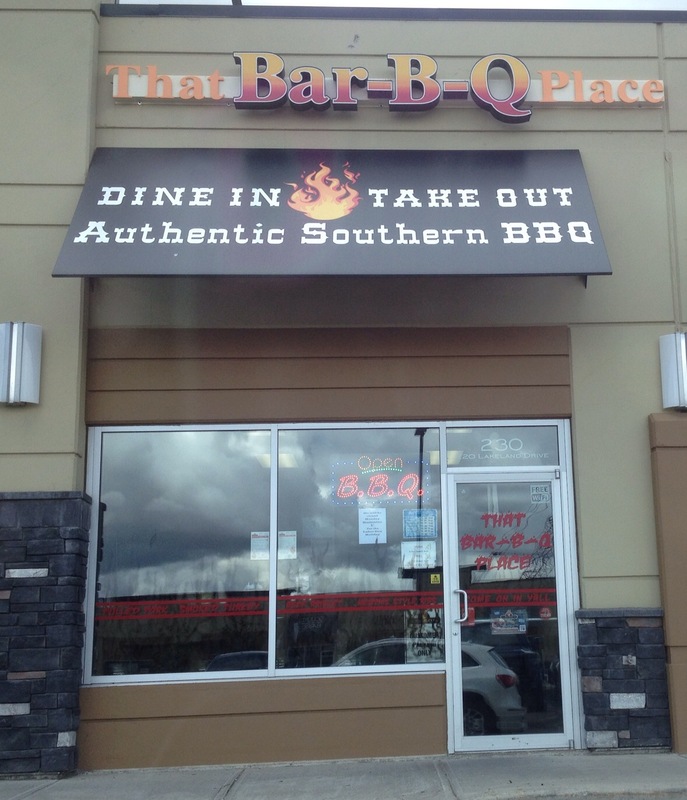 That Bar-B-Q Place is located in Sherwood Park. It’s a smaller restaurant with an order-at-the-counter style. I ordered the Two Meat Combo which comes with 2 sides as well. 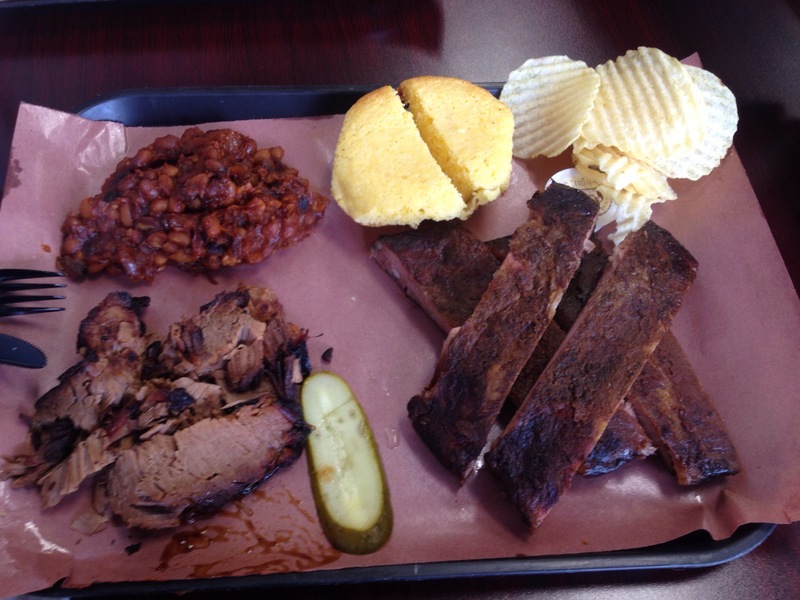 I chose the ribs and brisket with corn bread and beans as my sides. The meat was delicious! Both the ribs and brisket were nice and moist and smoky. The rib meat fell off the bone and you could see the brown crusty rub on the brisket. The sides were so-so. The corn bread was a little dry and the beans were a little grainy. When I go back (I’m sure I will because this is a good lunch spot for me) I will try different sides. This place is a cute little local restaurant with some good Bar-B-Q. I will happily give them some future business. I don’t often eat at chain restaurants but I had heard good things about Smashburger from some co-workers so I figured I’d give it a go. Before I went I did some research online and found out that in each city they have a speciality burger geared toward the local demographic. The restaurant is in Sherwood Park and I found it a bit hard to find (mostly cause the GPS was being difficult). Once I did find the place I went in and perused the menu which is above the ordering counter. The way this place works is you order at the counter and pay then they give you a number on a stand and they will bring your order to you when it’s ready. I ordered the Albertan burger (local flavor). It comes with Montreal seasoned grilled onions, cheddar cheese, 40 Creek Whisky BBQ sauce, and fried egg on a kaiser roll. I asked for it on the egg bun as I had heard that this was similar to a brioche bun (nice and light and fluffy). I also opted for the “big” burger size since I wasn’t ordering my own side. When my burger came out the patty was hanging over the edge by about 1/2″ all the way around the bun! Fantastic first impression! I hate when the bun to meat ratio is off. I dug right in. The meat was well seasoned and moist, in my opinion the onions could have been cooked a little longer and there were a few too many of them, the cheese was sufficient for the burger size, there was a good amount of BBQ sauce on it too. Now for the egg… Personally I didn’t think it added much to the burger. It was fried over hard. If the yoke had been soft it would have added to the juiciness of the burger but as it was it was just there not doing anything. My coworker had ordered a regular sized burger and the meat to bun ration was also acceptable. She also ordered the smash fries which she generously let me try (I don’t typically eat fried foods anymore which was why I hadn’t ordered my own). 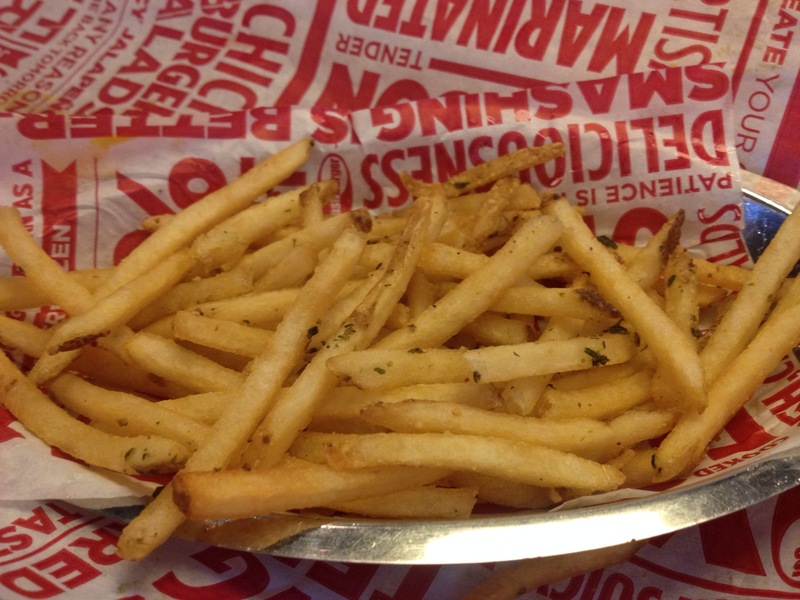 The fries are a smaller almost shoe string cut fry and the smash fries come seasoned with olive oil, rosemary, and garlic and were quite tasty and nice and crispy. 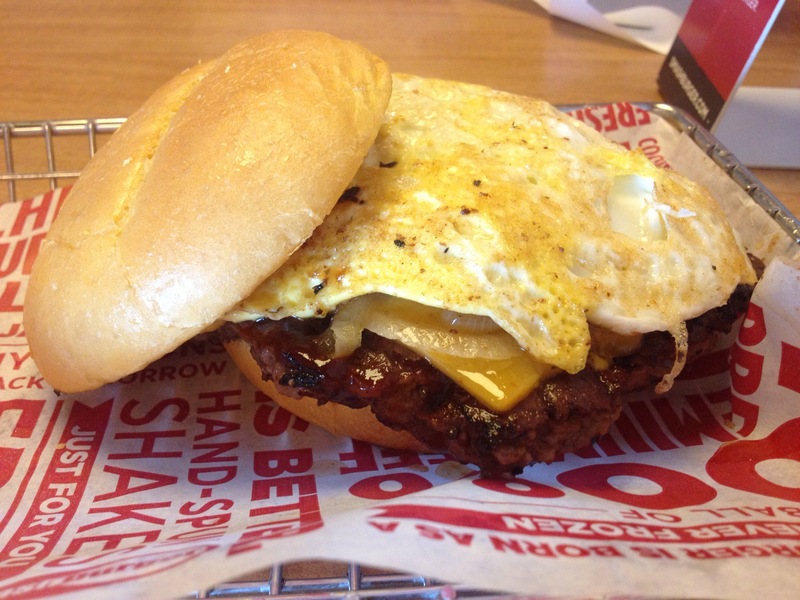 Over all I enjoyed Smashburger and could see myself eating there again. 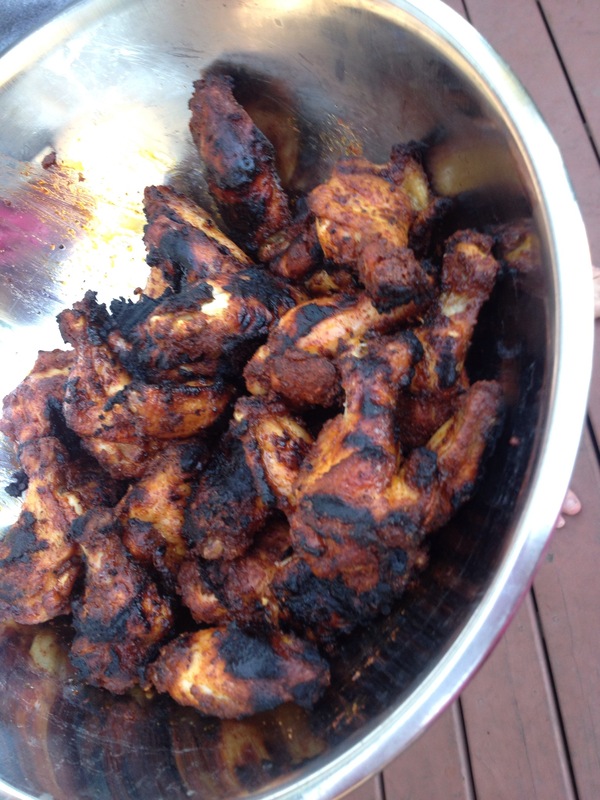 I went to a BBQ at a friends place a couple weekends ago and brought these wings. They went over really well, I got a lot of complements on them and the bowl was empty almost as quick as is it was filled. Don’t let the fact that this is a dry rub make you think for one second that the wings will be dry, these wings are good and moist. I bought the wings at Costco and they were already split and had the tips removed. The package was 2kg (almost 4.5lbs) worth of wings for about $17 (a great deal if you ask me!). If you buy wings that aren’t already ready to go it’s quite simple to split them and remove the tips with either a pair of kitchen scissors or a sharp knife. The recipe has cayenne pepper but I actually hadn’t realized I had run out so I substituted for 1 tsp of chilly flakes. I also had made a spicy dipping sauce for them (also forgot a picture of it haha) for those that like more heat. I’ll include this recipe under the wing one. – Mix all dry ingredients together in a bag or bowl. – In a large bag (I used the bag that they have in the meat section at Costco but you could use a large ziplock) put in the chicken wings and pour the rub in. Pinch the top of the bag with lots of air inside the twist it around to hold the air in and shake the heck out of it so the rub coats all the wings. – These could go right on the grill now or you could put the bag in the fridge for up to a couple hours to let it marinate. – Turn the grill to about medium heat (350F) and put your wings on in a single layer and let them grill for about 15 mins. Turn them over and let them go for about another 15. They should be nice and crispy and have some light charred spots. – Mix all ingredients together in a bowl.